Intel is prepping their latest mainstream processor lineup for release soon. 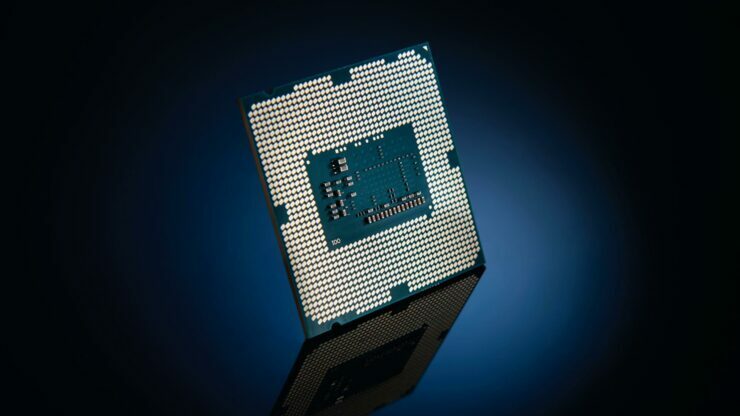 As part of the 9th Gen family, the new processors will come with more cores and faster clocks, all thanks to improvements in the 14nm process node. Now, we have details on when the new processors will launch and be available in retail channels. A mockup of Intel Core i9, 9th Generation SKU branding. We also know from previous reports about the clock speeds of these processors but Intel has also confirmed these in SKU listings which can be seen below in detail. 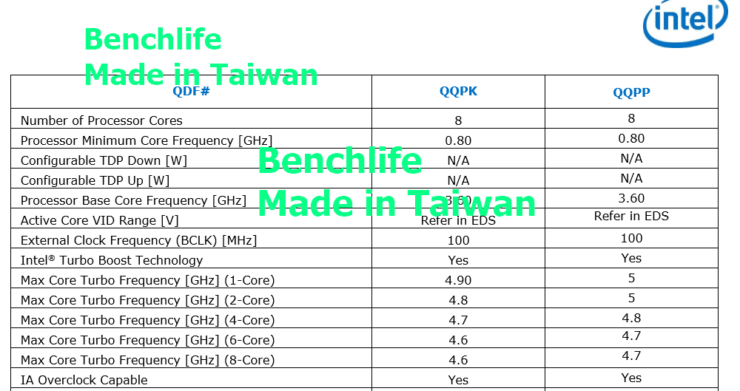 The clock speeds are something to check out here, we are going to get 3.6 GHz base clock out of the box and a 5.0 GHz boost clocks in single and dual core operations. 4 core boost is rated at 4.8 GHz while 6/8 core boost is rated at 4.7 GHz. This is the highest frequency we have seen on an 8 core part across all cores. All of this is done under a 95W package so we can expect some hefty cooling solutions to go along with this chip. Coming to the top Core i7 part, we get 8 cores and 8 threads. This is completely opposite of what we have been hearing as previous rumors identified the chip as a 6 core and 12 thread part. The chip will have 12 MB of L3 cache and as you might tell, it has lower threads than the Core i7-8700K but comes with higher core count. So maybe, we will get same or even better performance from the chip. 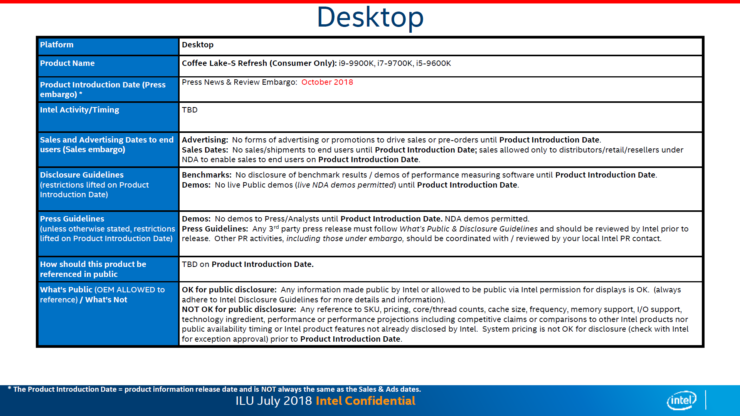 According to the embargo document, Intel would first release the unlocked SKUs which would eventually be followed by the rest of the 9th generation family which would be introduced in Q1 2019. In the previous slides, we also saw that compatibility will be retained for 9th generation processors on current 300-series motherboards along with the new Z390 platform. You can check out more on that here. 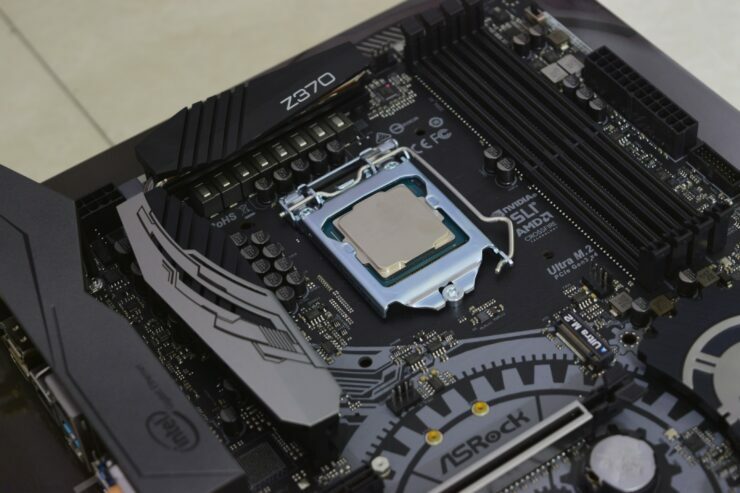 While on topic, ASUS, ASRock, MSI, Gigabyte, all have confirmed support for Intel 9000 series Core processors on their entire 300-series motherboards lineup which currently exists on the market. More details on the respective links. The same roadmap also shows the Basin Falls Refresh platform which includes new Core-X processors and X299 refresh motherboards to be introduced the same month. The embargo lists up to 18 core processors with TDPs of up to 165W which is the same as the current generation i9-7980XE processor. We are also expecting a 22 core model while the 28 core processors will be introduced with the premium High-end family on the LGA 3647 socketed platform. Now that we know the launch time of these upcoming processors, the only thing left is to see how these chips will perform in gaming workloads against AMD’s Ryzen processors which will be the target market of the mainstream line.